Starburst Magazine Reviews Limbus, Inc.
Limbus, Inc. is a rare find. It’s a shared world anthology that manages to end up greater than the sum of its parts. It is an intelligent, occasionally touching, often disturbing and always compelling piece of literature. Highly recommended. I mean look at that awesome cover. Here’s the review. It’s a book that’s on my list to review and (spoiler alert!) highly recommend, but I’ve been overwhelmed lately and have neglected to do so. I’m still gonna write my own, but until then, this review is worth reading and following. If you like your fiction dark and Lovecraftian, this is the best anthology out there, hands down, bar none. 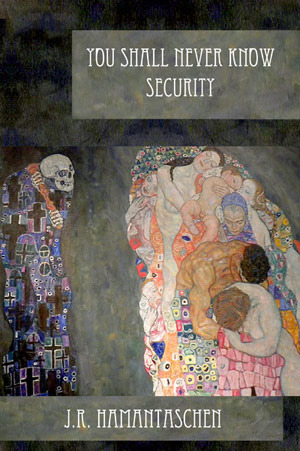 Read the review, and then buy You Shall Never Know Security for only 99 cents on Amazon. It won’t disappoint. And if it does, complain to me about it and I’ll give you a book. How to describe this book? A man decides to reconnect with his mother. Insanity ensues. Yep, that’s about all one can say without giving anything away. The book takes place on Catalina Island, and it is my impression that the description of the place is pretty accurate. For those who don’t know, Catalina Island is only a few miles off the coast of Los Angeles (I imagine folks from the area will find this book to be quite a trip.) Choosing to place the madness of the narrative so close to civilization is a brilliant choice by Greatshell. I’m being vague–more so than I like in a review–so let me just say this. If you enjoy mysteries, if you like to have your mind blown, if you like to never know what is real and what is imagined, and if you like a touch of the Lovecraftian in your fiction, check out this book. I think you’ll enjoy it. I’ve been circling around Bryan Hall’s Southern Hauntings Saga for a while now. I’m southern, I like hauntings, so really it only made sense. I read The Vagrant and liked it quite a bit, but it is with The Girl that the series really takes flight. The Southern Hauntings Saga–sort of a combination of Sixth Sense and The Ghost Whisperer, follows Crate Northgate, a paranormal investigator of sorts that travels the country, trying to help people afflicted by restless spirits. Sometimes they are real; sometimes they aren’t. And sometimes the people he is trying to help harbor a dark secret. In the second installment of The Southern Hauntings Saga, Crate Northgate arrives at a rural Appalachian home to help a family uncover the truth about what happened to their missing daughter and why her father is haunted by visions of her wandering their property. But the secret may be too much to bear; it’s weight too much to carry. More of Crate’s past is revealed, drawing you deeper into the mystery of his personal ghosts. All in all, a terrific and chilling short story from Bryan Hall. I’m becoming a big fan of the Southern Hauntings Saga. Crate Northgate just gets better and better. Highly recommended. When it comes to horror books, I have nerves of steel. I can read a horror book alone at night in a dark, empty house with a rain storm outside accompanied by howling wind, still fall asleep without a problem and have lovely dreams. It’s my talent. It’s my gift. Then, I read The Void. Wanted to share this with everyone. As some of you will remember, Dr. Michael Collings wrote my favorite review of That Which Should Not Be. I was really honored, then, when he agreed to write the introduction for my new book, The Void. He’s posted it on his site, and you can enjoy it here. I am going to reprint the introduction here, and add to it only this–I was immediately impressed with the quality of writing and thinking I found in That Which Should Not Be when I read it and was not surprised to find that it was a prize-winner already. The Void meets–if not exceeds–that same level of quality. Following up a positive review from Publishers Weekly with one from Library Journal, one of the preeminent literary magazines out there. Here’s what they have to say about The Void. Talley’s second novel opens in a futuristic world where faster-than-light space travel is possible, but at a great cost. Passengers are placed in a deep sleep during travel, and consequently experience horrifying dreams that culminate in madness and murder. Protagonist Aidan Connor wakes up on the spaceship Alabama, after being rescued from his escape pod somewhere between Pluto and Neptune. Suffering from amnesia due to the traumatic destruction of his own ship, the Vespa, Connor begins the chilling journey of uncovering the truth behind the dreams that drive humans mad. While the genre is unmistakably Lovecraftian horror, with its examination of the horrific and cosmic unknown, the book’s content is not. The narration drags a bit when the author pauses to explain to the reader the basics of space and physics, but the horror elements are very well written and fascinating. Talley’s debut novel, That Which Should Not Be, was nominated for the 2011 Bram Stoker Award for Superior Achievement for a First Novel. VERDICT: This unique and unnerving read is a sure bet for horror and sf fans. [The publisher is a small independent press that specializes in horror, sf, and fantasy—Ed. ]—­Rebecca M. Marrall, Western Washington Univ. Libs., ­Bellingham. Snagged one of the coveted review spots in Publishers Weekly’s print magazine (and online) this week. I was a little nervous as Publishers Weekly is known not to pull punches when it comes to reviews. Turns out, I had nothing to worry about. Talley follows Stoker finalist That Which Should Not Be with another solid tale of cosmic horror…This tale of aliens preying on humanity stands out from the crowd thanks to the strength of Talley’s prose and creative imagination. Hope everyone picks up The Void when it drops this July 13th. Until then, check it out on Goodreads. 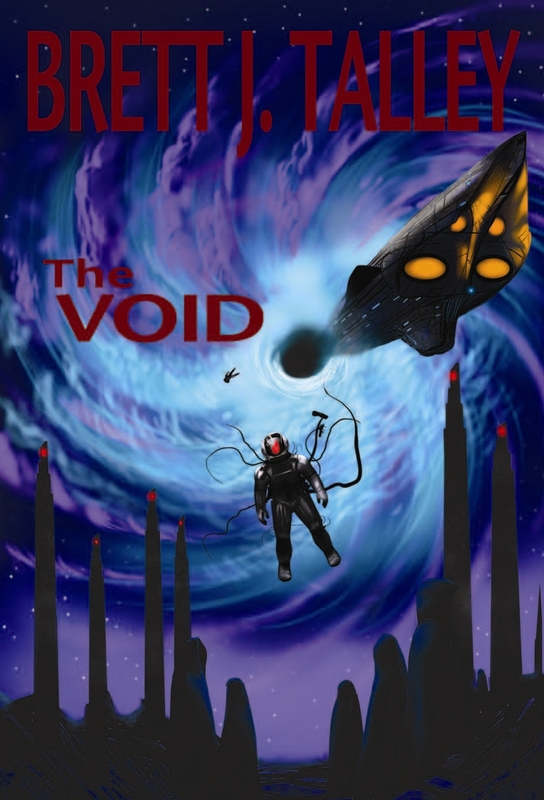 I’m going to have to start a review page for reviews of The Void. Thanks to Horrornews.net for the great review! For these reasons Talley has composed an immensely effective novel. It’s rare we stumble onto a new author so consistent in their capability to allure us into their next anticipated journey. Talley proves That Which Should Not Be his debut effort was no fluke. He’s here to stay deeply embedded in our darkest dementia. I made the list! Check it out. What these stories always offer is a rich world where a great evil creates darkness in the tale that is both inviting and holds great interest. In Brett J. Talley’s That Which Should Not Be I have to admit I think I’ve found one of the best homages to Lovecraft I have read. I’d go so far as to use the almost cheesy line that it’s “a Love letter to the work of Lovecraft”. Anybody with any interest in Lovecraft’s work will recognise the style of writing and the on-going themes that Talley has pulled into the book, if you ever wanted an introduction to Lovecraft then this is a good place to start. I’d go so far as to say if you read this and enjoy it as much as I did then you should push yourself into reading some Lovecraft, it’s not as accessible as this book but it does share a lot of the style that Brett J. Talley manages to re-create in his work. Misti Parker, author of the very well received A Ranger’s Tale, reviewed That Which Should Not Be in the latest issue of SQMag. Check it out! My review of Verland: The Transformation is now up in the review section. I enjoyed the book quite a bit and gave it four stars. One thing I did not mention in my review that troubles me about Verland is the over-the-top reviews you’ll find on Amazon. It’s as if the author had every friend she has write the most glowing reviews possible. Seriously, check it out. You would think the book was the new Great Gatsby or Ulysses. It’s unfortunate. I think Verland can stand on its own without any trouble, and I think that most people will see those reviews and think they are being sold a bill of goods. But hey, maybe it’s just me. In any event, Verland is a good book and I recommend you check it out.